The content of Speaking Tutor covers a wide range of content-based topics and language material over twelve units per level. Speaking Tutor is designed to encourage the student to move from individualized self-study to cooperative pair-and group-work interaction. 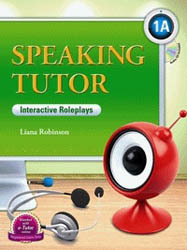 View cart “Speaking Tutor 2A | Student book with Audio CD” has been added to your cart.